The cost of the long-awaited arts hub known as The Factory, the permanent home for the biennial Manchester International Festival, has risen by £20m. The revised budget for the 145,000 sq. ft complex for art, theatre, dance and music events—part of the new St John’s neighbourhood in the city centre—is £130.6m. Manchester city council plans to contribute £40.5m in total, with the extra £20m covered by the sale of council-owned land; the plan will be voted on later this month. The budget increase is down to a rise in “construction inflation” and improving the acoustics, which has added £4.5m. More than £400,000 has also been factored in for site supervision along with £2.7m for increased “design team fees”. The UK government will provide £78m while a Lottery grant of £7m is in process. The remaining £5m will be sought through fundraising. “The Factory will bring a £1.1bn boost to the city’s economy in its first decade alone,” says Richard Leese, the leader of Manchester city council. 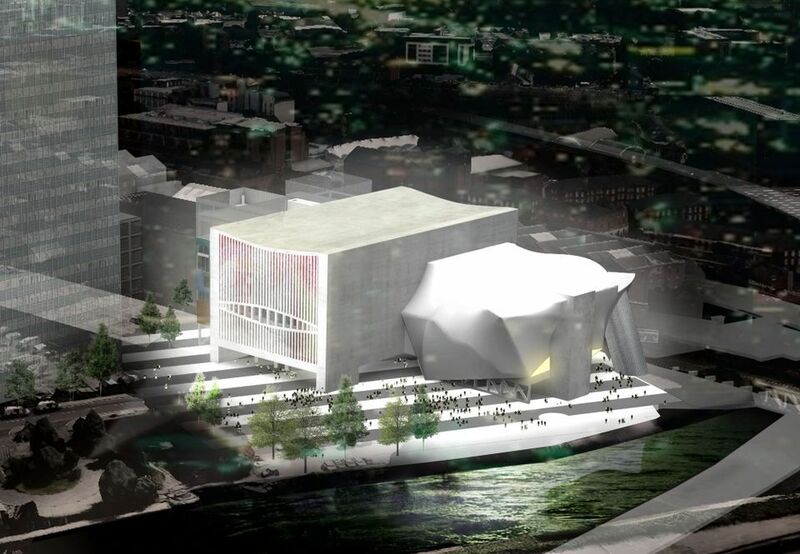 Construction is due to begin early next year with the building scheduled for completion in 2020, a year later than originally planned; the 2021 Manchester International Festival will be held in the new venue. The Factory will be the first major UK commission for Rem Koolhaas’s OMA practice.